This post might seem silly. After all, who doesn’t know how to make popcorn? It turns out that I didn’t, and word on the street says that I wasn’t alone. I blame the hot air popper (and related products like the stir-crazy popper). If you, like me, grew up after its advent, you may have wrongly believed the hot air popper to be a prerequisite for homemade popcorn. And if you, like me, have a small kitchen, owning such a bulky single-purpose appliance may have seemed an impossibility. Fortunately, a friend of mine taught me just how unnecessary hot air poppers are, and I’m here to do the same for you. Please spread the word! Somehow the hot air popper manufacturers have fooled a generation into thinking specialized equipment is required to make popcorn. 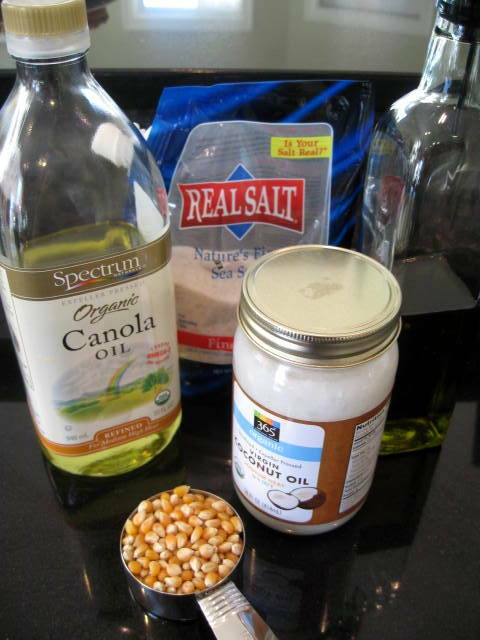 Add the oils to a large pot (preferably heavy and non-stick) and turn heat to high. 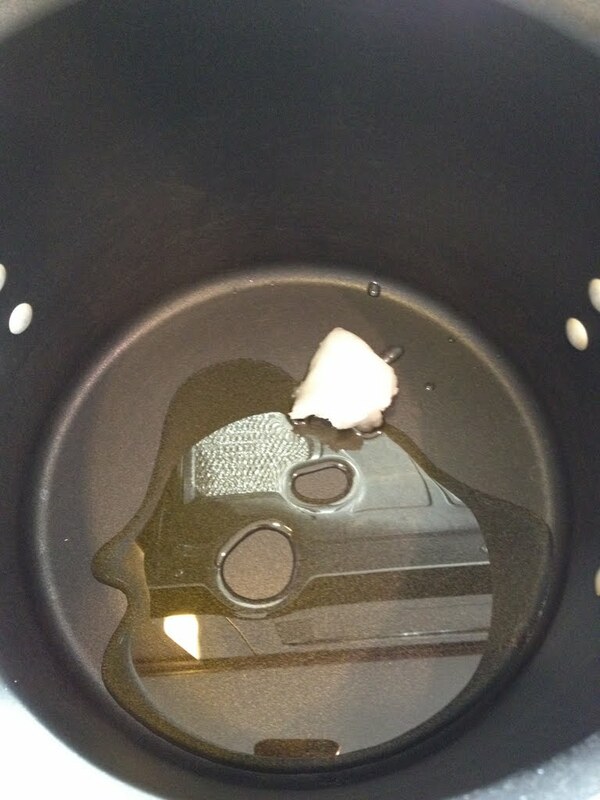 Place a lid on the pot to shield yourself from hot oil, leaving it a bit askew so that some hot air can escape. Place three popcorn kernels in and wait until they pop. As soon as the third kernel pops, put the rest of the kernels in. Wait for the fourth kernel to pop. Then wait another 45 seconds, and turn the heat down to medium. 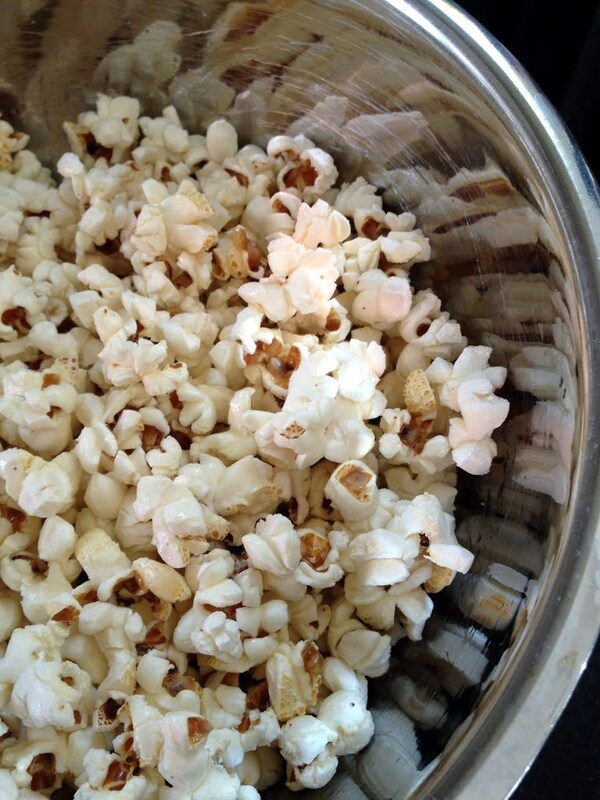 Once popping has slowed so that there are three seconds between pops, remove popcorn from heat. Wait for popping to completely stop, then tip into bowl, salt, and serve. P.S. Did you know popcorn is a whole grain? Happy snacking! Why mess with perfection? That said, I predict mustard, thyme and clarified butter is the direction we’ll take next.